June 2017 was a solid-plus month, reassuring in that many of the metrics improved indicating that the labor market remains healthy. What a pleasant difference a month makes. The official report indicated that June’s job growth exceeded the expectations posting a robust 222,000 net new jobs. Remarkably, job growth has been north of 200,000 during four of the first six months of 2017. As an economist and seasoned staffing industry professional, Steven Drexel is regularly asked to participate in several monthly surveys and discussions that predict key elements of the Bureau of Labor Statistics’ (“BLS”) press releases describing The Employment Situation. On Friday June 2nd, the Bureau of Labor Statistics (“BLS”) released its monthly summary of labor market activity covering June 2017. The consensus expectation called for moderate growth of around 174,000 new positions. Manufacturing (+1k) – encouraging when positive given long-term trends. Motor vehicles & parts (-1.3k) – recently stalled. “The recent economic data indicates that GDP will continue to expand during 2017 and through 2019 at a better than 2.0 percent but less than 3.0 percent annual rate,” states Drexel. “While modest, this will be better compared to recent years. Economic growth will be supported by international expansion, an improving manufacturing sector, consumer/business confidence, housing growth/starts, and corporate profits.” Furthermore, he believes that employment growth will continue consistent with an aging expansion and a tightening labor market, averaging around 180,000 positions during 2017. “This moderate job growth will be sufficient to support a growing labor force, a low unemployment rate and, over time, increasing average hourly earnings,” Drexel concludes. Drexel is available for interviews or commentary on the economic and employment impact, and perspectives on the political climate’s effect on employment. 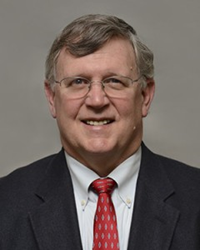 Steven R. Drexel is an economist, a member of the Business Research Advisory Council of the U.S. Bureau of Labor Statistics, and past chairman of the American Staffing Association’s Industry Information Committee. He has been interviewed for The Washington Post, Bloomberg Business News, CNN Radio, the Associated Press, The Houston Chronicle and The Houston Business Journal -- among many other national, regional and local media organizations. Drexel’s biographical profile is available at http://www.cornerstone-staffing.com/. Please contact Brian Hatfield for any information or insights related to a wide range of employment and economic topics Drexel is prepared to comment on. Cornerstone Staffing Solutions is among the largest staffing firms in America and received Inavero’s Best of Staffing® Client Award in 2016 and 2017. Since 2003, Cornerstone has grown from a neighborhood staffing provider to a $100 million national firm that employs thousands of people at hundreds of companies from coast to coast. Providing candidate searching and job placement for administrative, industrial, technical, sales and transportation positions, Cornerstone truly is where talent and jobs meet. Visit Cornerstone at: http://www.cornerstone-staffing.com.